Summer's approaching fast and new trailers for movies this year are getting released at an alarming rate. Here's the latest one for Jurassic World. And here are a few things to take away from the trailer. Well maybe not talk to them, but he can definitely communicate with them, and relate to them because later on in the trailer he's seen riding a motorcycle among them, which is pretty much the movie poster for the film. Regular dinosaurs weren't enough, so the scientists resorted to "genetic modification" to create new dinosaurs because sales went up every time a new dinosaur was introduced. And B.D. Wong is back as the lead geneticist from the original Jurassic Park. That's Brian Tee from Fast and Furious: Tokyo Drift, also known as the Drift King in a scene straight out of Alien. Blood drips from the ceiling, victim looks up, dinner is served for the dinosaur. 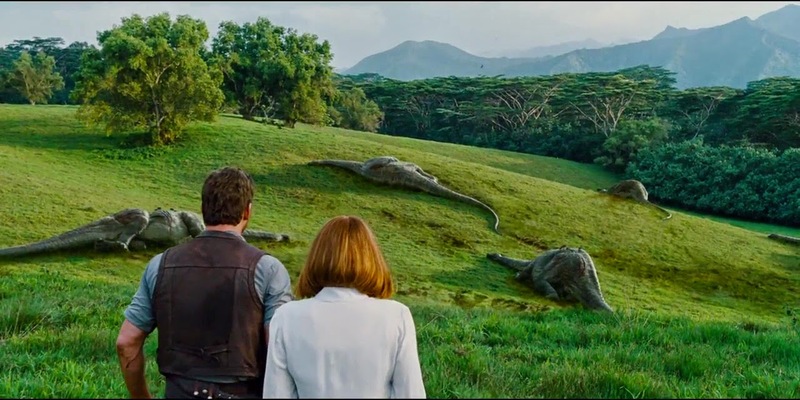 Apparently this new genetically modified dinosaur is just "killing for sport" as we see a bunch of dead dinosaurs in a field. 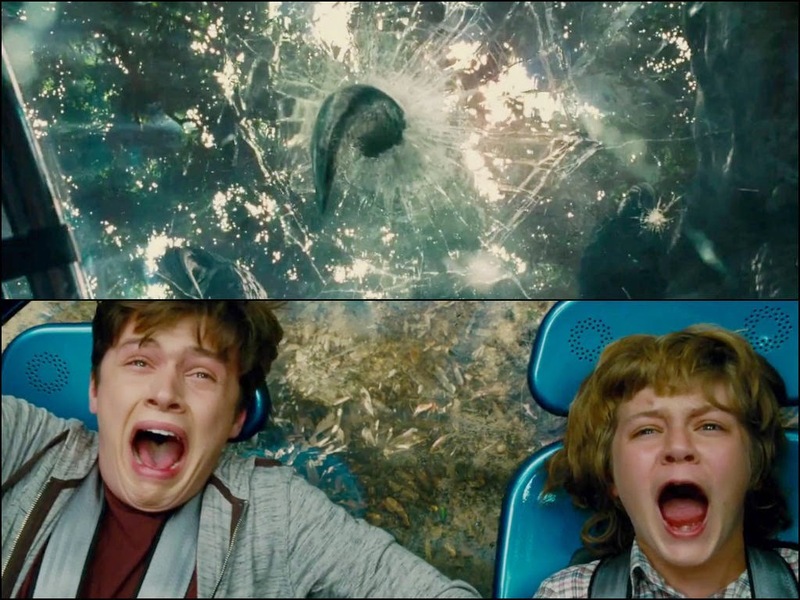 Okay, they're just ripping off/paying homage to the first movie at this point. 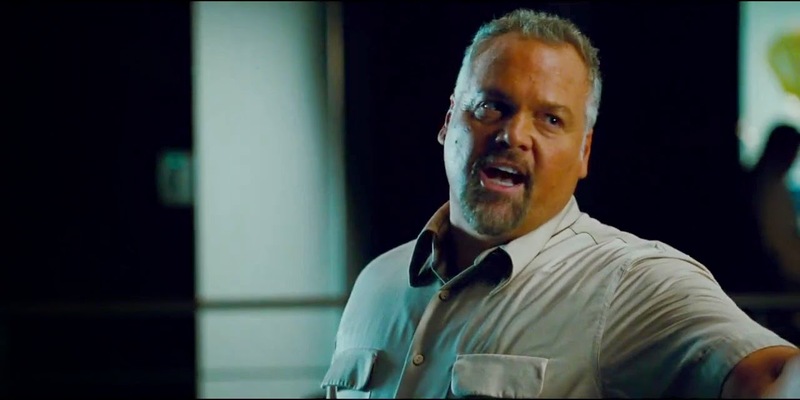 Vincent D'Onofrio is the head of security. Odds on him getting killed by a dinosaur are 2 to 1. 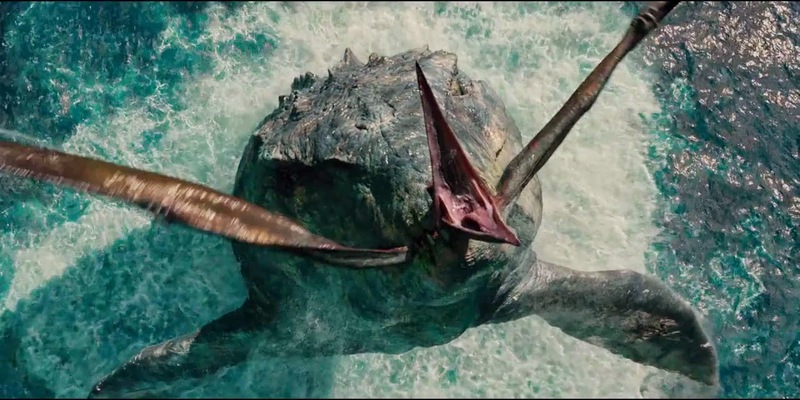 So the dinosaurs are more intelligent now, and can communicate with each other. And Chris Pratt is some kind of velociraptor whisperer. Yeah sure, why not. 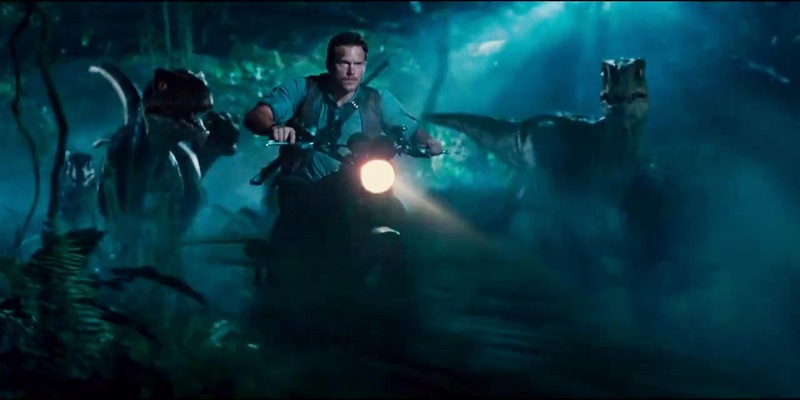 My guess for the plot here is Pratt and the raptor gang try to direct the big bad dinosaur to this tank where this bigger badder dinosaur can finish him off. 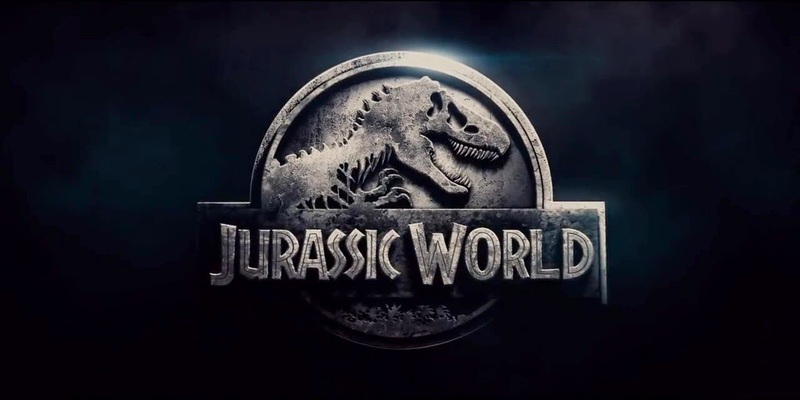 Jurassic World is open for business June 12th.